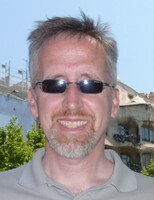 Jason Hackworth is a professor of planning and geography at the University of Toronto. He writes broadly about urban political economy with a focus on North American cities. He is author of two books, The Neoliberal City (2007), and Faith-Based (2012), and numerous journal articles. His current research focuses on the politics of land abandonment in Rust Belt cities. Hackworth, J. 2012. Faith Based: Religious neoliberalism and the politics of welfare in the United States (Athens GA: University of Georgia Press). Hackworth, J. 2007. The Neoliberal City: Governance, ideology and development in American urbanism (Ithaca NY: Cornell University Press). Hackworth, J. 2014. The limits to market-based strategies for addressing land abandonment in shrinking American cities. Progress in Planning, 90: 1-37. Hackworth, J. and J. Akers 2011. Faith in the neoliberalization of post-Katrina New Orleans. Tijdschrift voor Economische en Sociale Geografie, 102(1): 39-54. Hackworth, J. 2010. Faith, welfare, and the city: the mobilization of religious organizations for neoliberal ends. Urban Geography, 31(6): 750-773.